Thomas George Doran was born on February 20, 1936 in Rockford, Illinois, the son of Robert J. and Gretchen Durst Doran. He attended St. James Pro-Cathedral grade school, graduating in 1950, and Campion Jesuit High School in Prairie du Chien, Wisconsin from 1950 to 1954. Thomas Doran then entered the college seminary and completed his classical and philosophical studies at St. Pius X Seminary at Loras College, Dubuque, Iowa from 1954 to 1958. Bishop Lane assigned him to pursue theological studies in Rome at the Pontifical Gregorian University and to receive his priestly formation at The Pontifical North American College, Vatican City. On December 20, 1961, Thomas George Doran was ordained to the Sacred Priesthood for the Diocese of Rockford in the Basilica of St. Peter in Vatican City by The Most ReverendMartin J. O’Connor, Rector of The Pontifical North American College. Father Doran completed his studies, receiving a License in Sacred Theology and returned to the United States in the summer of 1962. Father Thomas Doran’s first assignment was to be the Assistant Pastor at St. Joseph Parish, Elgin, and to teach Religion parttime at St. Edward Central Catholic High School from August 31, 1962 to August 18, 1963. His next assignment was to be the Assistant Pastor for St. Peter Parish, South Beloit, and to work part-time in the Chancery Office as a Notary for the Diocesan Tribunal from August 19, 1963 to September 1, 1965. Bishop Lane appointed Father Doran to be the Secretary to the Bishop on September 1, 1965 and take up residence at the Chancery on a full-time basis, and he served in this capacity, as well as being the Secretary of the Diocesan Tribunal and a Defender of the Bond, until Bishop O’Neill appointed him the Chancellor of the Diocese on January 1, 1969. Father Doran served as Chancellor for the next 17 and one-half years. During these years he served also as the Secretary to the College of Consultors from 1969 to 1986, and pursued post-graduate studies in Canon Law in Rome from 1975 to 1978 obtaining a doctorate in 1978. Bishop O’Neill appointed him the Officialis of the Diocesan Tribunal and he served in this office from 1976 to 1984. He was appointed a member of the College of Consultors and served from 1981 to 1986, and he was appointed the first Episcopal Vicar for Catholic Education, serving from 1982 to 1984 in this office. On July 5, 1984, Bishop O’Neill appointed Father Doran to be the Rector for the Cathedral of St. Peter where he served until July 18, 1986, continuing to serve also as the Chancellor of the Diocese. When Father Doran’s appointment to be a Prelate-Auditor of the Roman Rota was announced in the summer of 1986, he left his Cathedral assignment in July and then departed for Rome in the early autumn of 1986. The new Monsignor Doran served the Holy See and the Universal Church on the Roman Rota until Pope John Paul II appointed him to be the eighth Bishop of the Diocese of Rockford. Thomas George Doran was ordained and installed as the eighth Bishop of the Diocese of Rockford on June 24, 1994, at the physical education center at Rock Valley College in Rockford. His Eminence, Joseph Cardinal Bernardin, Archbishop of Chicago, was the principal consecrator, with The Most Reverend Arthur J. O’Neill, Bishop Emeritus of Rockford, and The Most Reverend Joseph Galante, Bishop of Beaumont, Texas, being the coconsecrators. Father Robert A. Balog served as the Master of Ceremonies. Forty other archbishops, bishops, and abbots participated in the ceremonies, along with the priests of the Diocese, as well as its permanent deacons. The total number of clergy, religious and laity who attended this Mass was estimated to be more than 4,000 people. 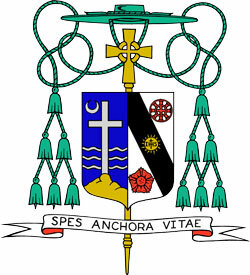 Bishop Doran submitted his resignation as head of the Diocese to Pope Benedict XVI on his 75th birthday, February 20, 2011 as is required by the Code of Canon Law. 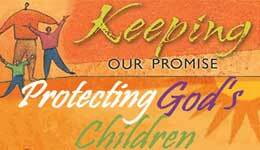 His resignation was accepted on March 20, 2012 with the appointment of Msgr. 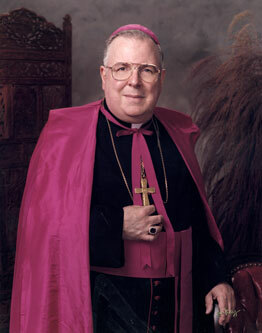 David J. Malloy from the Diocese of Milwaukee as the Ninth Bishop of Rockford.